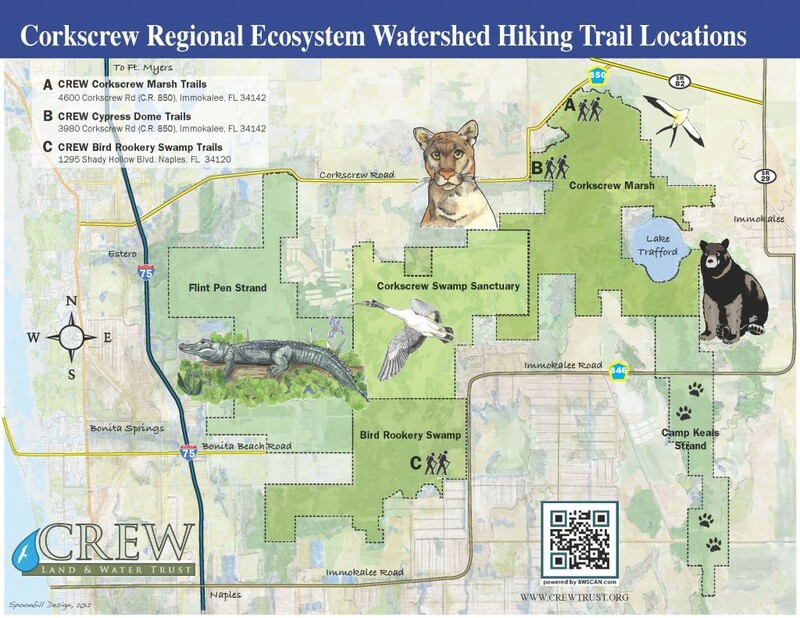 The Corkscrew Regional Ecosystem Watershed (CREW) encompasses approximately 60,000 acres, running from Corkscrew Road in Lee County south beyond Immokalee Road in Collier County. You can see a map of the whole watershed here. When it rains enough for the ground to get saturated, water levels rise and then the water “sheet flows” downhill across the surface of the land. In CREW, it takes about a week for the water to flow from the north part of the watershed to the south part. With the summer rains we’ve been lucky to get this year, we are seeing that sheet flow in action. 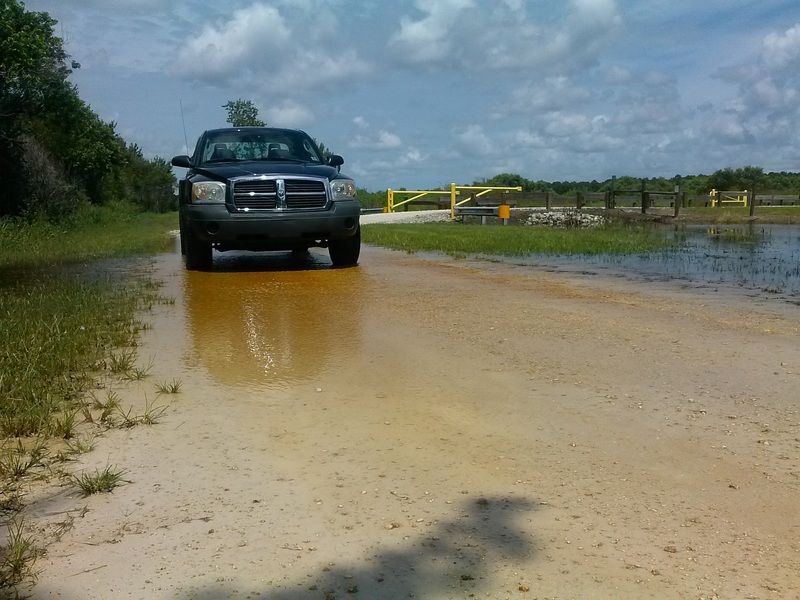 CREW volunteer George Luther installed a few water level posts at Bird Rookery Swamp last year. 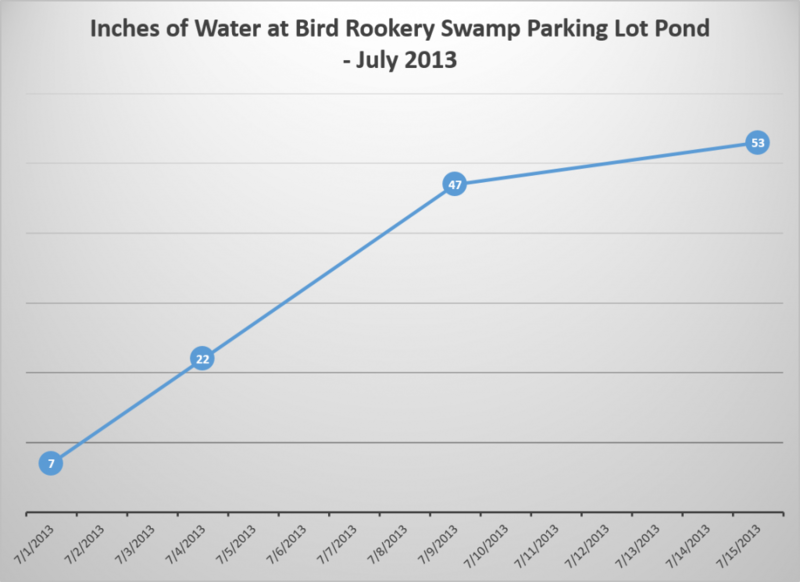 He’s been recording measurements regularly and recently reported the change in water levels at the parking lot pond there. Take a look at the chart below showing the rise since July 1st. We haven’t seen water levels like this during the early summer months here at CREW for a long time. This is great for water recharge and our drinking water supply. And the woods are teeming with wetland critters. It’ll be interesting to see what other changes occur as levels continue to rise as the summer goes on… What’s the highest water level you’ve experienced at CREW?